Heinz von Westernhagen was born on 29th August 1911 in Riga, capital of Latvia – then part of the Russian Empire. His early life was turbulent; the Russian revolution in 1917 turned the previously well to do Westernhagen family into nomads, and Heinz would escape the drudgery by joining the German merchant marine as a teenager in 1927. Having joined the NSDAP in 1929 and initially the Sturmabteilung (SA), Westernhagen joined the Allgemeine-SS as a twenty year old in April 1932. After that, his career followed the path of many young recruits as would eventually become the Waffen-SS developed. Having been assigned to the newly-formed SS-Verfügungstruppe (SS-VT) at the rank of SS-Unterscharführer in October 1934, Westernhagen was transferred to the Security Service (Sicherheitsdientst, or SD). Working in foreign intelligence, rapid promotions followed. By April 1936 he had achieved his commission, and by the outbreak of the Second World War in September 1939 he had already reached the rank of SS-Hauptsturmführer at the age of twenty-seven. Had the intelligent, high-flying Westernhagen chosen to continue his service with the SD, it is likely that he may have ended up as a senior officer, even a general. However, he yearned for combat. He would have a brief combat interlude as part of the Leibstandarte in early 1940 during the campaign in the Netherlands, before returning to the SD. In 1941, Westernhagen was again deployed with the Leibstandarte as a staff officer with Kampfgruppe Witt (under the command of SS-Sturmbannführer Fritz Witt) during the campaign in the Balkans and Greece, and the move was made permanent. 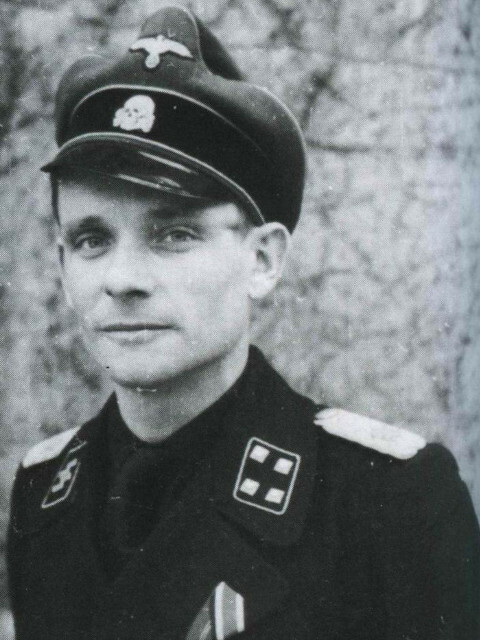 During the campaign, he was awarded with the Iron Cross 2nd Class. Having achieved his ambition of being a front-line soldier, Westernhagen was finally able to move away from his role as a staff officer in joining the LSSAH’s Sturmgeschütz (Assault Gun) Battalion in June 1942. He was promoted to SS-Sturmbannführer later that year, and on 6th March 1943 he was decorated with the Iron Cross 1st Class. The summer of 1943 saw the biggest armoured struggle in history at Kursk, and Westernhagen would play his part in the battle. The opening moves of operation Zitadelle on 5th July saw Westernhagen’s assault gun battery work alongside the 13th (Heavy) Panzer Company, which included Michael Wittmann. The day would not end well for Westernhagen, who sustained a near-fatal head wound that saw him removed from the front. Recovery was a long process, and even after a long spell of rest and recuperation Westernhagen was never the same man again. Nevertheless, he was appointed to the as battalion commander of a new formation, the Schwere SS-Panzer-Abteilung 101. 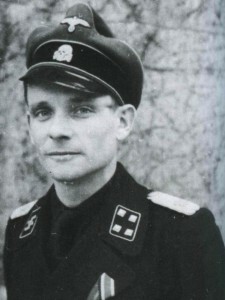 On 21st June 1944, he was promoted to SS-Obersturmbannführer. Westernhagen desperately wanted to succeed in his command, but his body was never really up to it. Nevertheless, he persevered. A man who was dedicated and committed without ever being reckless, Westernhagen injected a certain spirit into the battalion, and continued to build on his established reputation as an officer who was respected by all ranks. The downside were the ongoing problems with his head injury, and the long spells of sickness, leave and recuperation. As the war was approaching its end, the renamed 501st (Heavy) Battalion were caught in heavy fighting near the city of Veszprém in western Hungary. Westernhagen’s physical travails were well established, but the desperation of the campaign had also started to take its toll on his mental health. On 19th March 1945, the inevitable happened. Westernhagen was relieved of command, with his role passing to Heinz Kling. Later than day, he was dead. The official report would state that his car had been hot by a bomb while he was only way to higher command, but it would later emerge that he had died by his own hand. Desperately upset at the decision, Heinz von Westernhagen had decided to die with his men rather than leave them to their inevitable doom.